The three methodologies which include ISO 9000, scrum and crystal are agile based methodologies (Laskowski, 2011). 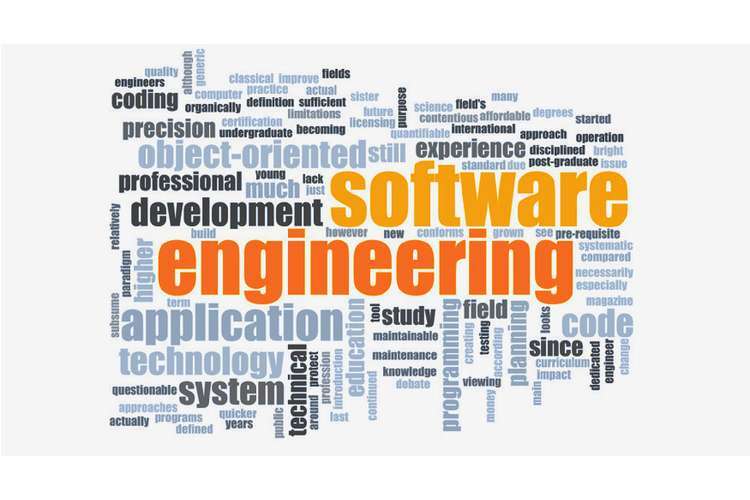 Software development requires the developers to use a methodology that will assist in the completion of an efficient software engineering development. They all have their advantages and disadvantages which can be used to determine the best methodology (Artoftesting.com, 2018). ISO 9000 methodology is meant for software products to meet the international standards f quality management. The methodology aims at delivering quality software products to customers. The standards designed are international and the software products implemented must meet these international standards (Lafuente, Bayo-Moriones and García-Cestona, 2009). There are a number of advantages associated with ISO 9000 methodology. First, the software development has a great management control. The start of the development has to be documented and assessed that the business requirements will meet the international standards. The developers should also have a clear understanding of the company that requires the software. This methodology also bring about the enhancement of ensuring that the customers’ requirements are met. The third advantage is that the methodology enhance the internal communication. Various sectors in different departments in a company are involved to ensure that the entire company will interact with each other. The methodology also enhance an improved customer service. The ISO 9000 registration tends to focus on the company priorities and promote the awareness of quality issues among al the employees. The methodology leads to the reduction of software liability risks. The software product tends to have a great quality with minimum risks if not none. A great software quality will also attract investors to a business. If the data displayed in the system to the public is true, then a company is likely to have more investors (Smallbusiness.chron.com, 2018). The disadvantages include delay in the system development process, heavy emphasis on the documentation and most people don’t have the understanding of the ISO 9000 processes. The methodology is lengthy as the customer and the developer has to be familiar with ISO 9000 process. The process f checking is a system has met the international standards required may take several months. This methodology emphasizes on the documentation yet the key aspect should be the functionality of a software. The documentation of the internal process is required but ends up using a lot of time to do a small sector to the entire software development. Finally, another major disadvantage associated with ISO 9000, is that most people do not have a clear understanding on the international standards. Scrum is a methodology as well as a framework that is used in the actual project. Scrum involves creating a prioritized wish list by the product owner (Sachdeva, 2016). The team involved creates a wish list, the backlog and then decides how to implement all the requirements. Usually every task is allocated its amount of time. Each day the team must access the progress to see if they meet the daily target. The team is always focused to the goal. The final product should be delivered to the client and should be displayed to the stakeholder. The sprint usually ends with a retrospective. When another sprint begins the entire development team choses a backlog and start to work again. The cycle continues until the entire project is completed. There are various advantages related to the use of scrum in system development. First, scrum helps in saving money and time. Scrum enables the business requirements to be developed successfully and clearly. This is because they need to plan on the development of a software base on the business requirements (Simplilearn.com, 2018). Scrum is also fast moving and the software can be quickly be developed as the mistakes done rectified. Scrum also involves a simply controlled method that is frequently update and tested in order to ensure they are following the right track in the development of the system. The scrum methodology is also interactive as the developer and the user tend to discuss on the progress of the system. This is also successful as the development team has daily meetups to check on the progress of the software development. Also, any issues identified in the system development are discussed and addressed in the right manner. These problems are solved fast as the methodology involves team work amongst all the participants. Scrum is responsive with any technology or programming language is a fast in the implementation of new ideas. Finally, scrum is incurs cheaper overhead cost hence is a cheap methodology to use (Mousaei and Javdani, 2018). Apart from the benefit the developers experience by using scrum, they may also experience some challenges when using the methodology. As the research methodology is focused on keeping the time planned for delivering a software product, there are chances that some customer changes may not be made in case the team is past a certain print. The methodology only accommodates experienced team members. In case a team member leaves the team, it could result to inconvenience. Also, if any of the team members is not committed the deployment of the software may fail to meet time target for the completion of the project. Crystal methodology mainly involves the people, interaction, skills, community and talents. The methodology has interaction and incremental development. There are a number of advantages based on the crystal clear methodology. First, the methodology is based on the observations of a number of successful teams. The methodology has different perspective on things (Rusk, 2018). The crystal clear methodology explains the things that matter. It depicts the things that will lead to the success or failure of a project. This methodology usually has fixed price contracts. The methodology also enhances the understanding of using the software to be developed in a business. There is a clear guidance on how to adopt the methodology in an organization. The crystal clear methodology perform the software development in ways that a common to the successful projects developed in the past. The crystal methodology can adjust the team size depending on the project type (Asim, 2018). There are a number of disadvantages associated with crystal clear methodology. First, the planning and the development process are independent on the customer requirements. The methodology may be inconveniencing for the distributed teams and the projects vary depending on the size and the criticality. Based on looking at the disadvantages and the advantages between the three methodologies which are ISO 9000, scrum and crystal, scrum seems to be the best methodology to use in the system development (I. and Kaur, 2016). Unlike the ISO 9000 and crystal, scrum has a well laid out plain in the system development, the targets that are made. Scrum is also open to make the changes required by the organization to enhance the efficiency of the system. Scrum offers an interactive platform for the developers and the users of the system. This will enhance team building and the software product will eventually meet the client needs. Despite the challenges experience while using scrum methodology is best fit for both parties: the developers and the customers. 1. Laskowski, J. (2011). Agile IT security implementation methodology. Birmingham: Packt Pub. 2. Artoftesting.com. (2018). What is Agile Methodology? Its Advantages and disadvantages.. [online] Available at: http://artoftesting.com/manualTesting/agile-methodology-advantages-and-disadvantages.html [Accessed 26 Sep. 2018]. 3. Lafuente, E., Bayo-Moriones, A. and García-Cestona, M. (2009). ISO-9000 Certification and Ownership Structure: Effects upon Firm Performance. British Journal of Management, 21(3), pp.649-665. 4. Mousaei, M. and Javdani, T. (2018). A New Project Risk Management Model based on Scrum Framework and Prince2 Methodology. International Journal of Advanced Computer Science and Applications, 9(4). 5. Sachdeva, S. (2016). Scrum Methodology. International Journal Of Engineering And Computer Science. 6. I., I. and Kaur, J. (2016). Metrics of Scrum Methodology. International Journal of Computer Applications, 149(2), pp.24-27. 7. Simplilearn.com. (2018). Scrum Project Management Pros and Cons | CSM Training. [online] Available at: https://www.simplilearn.com/scrum-project-management-article [Accessed 26 Sep. 2018]. 8. Asim (2018). Crystal Methodology. [online] Slideshare.net. Available at: https://www.slideshare.net/asim741/crystal-methodology-58237270 [Accessed 26 Sep. 2018]. 9. Rusk, J. (2018). Crystal Clear Methodology – AgileKiwi. [online] Agilekiwi.com. Available at: http://www.agilekiwi.com/other/agile/crystal-clear-methodology/ [Accessed 26 Sep. 2018].